I bet you thought we'd forgotten about Loony Labor Day. (whoa...today is Labor Day...where did the summer go?). Anyway, if you are new to the lunacy around here, let me introduce you to DT's annual end of summer tradition of featuring the craziest cars for sale on the web. Find this 1963 Chevrolet Corvette here on eBay offered for $8,500 buy-it-now or make-offer located in Annandale, MN. 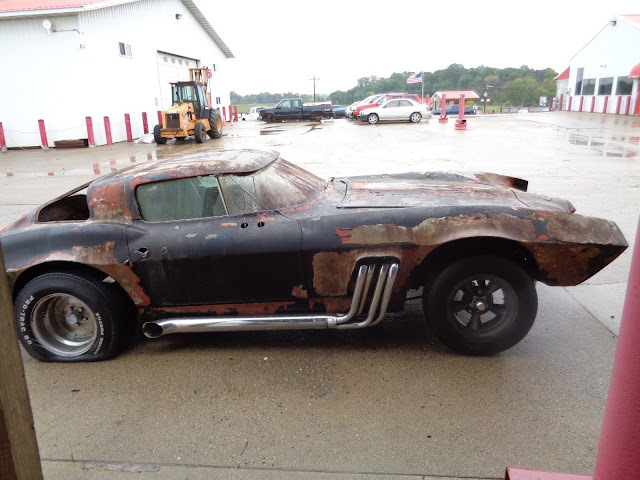 Wow...a 1963 Corvette split window for $8500 -- what kind of crazy time machine is this...oh...not a crazy time machine...just a crazy machine. A crazy machine that'll drain your wallet faster than you can say AAAAAAAAAAAAAAGGGGGGGGGGGGGGGGGGGG! 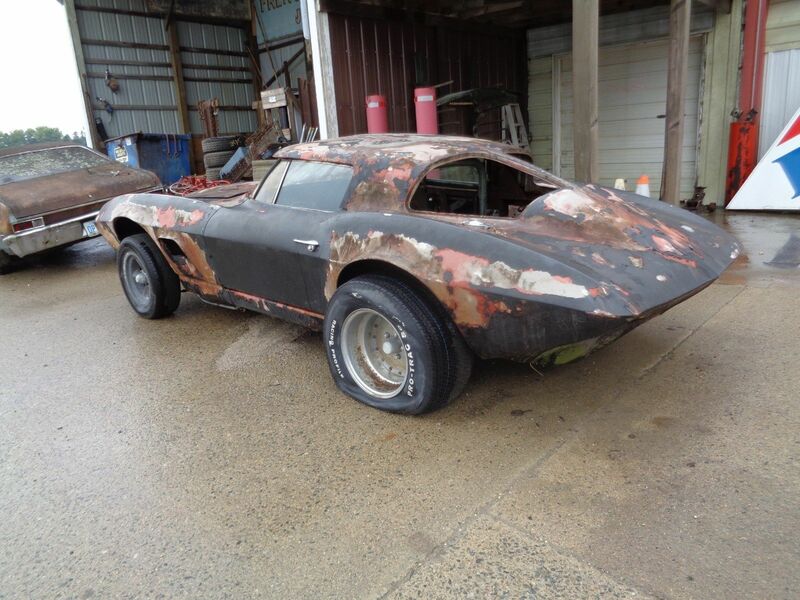 VINTAGE CORVETTE BASED RADICAL CUSTOM, PARTIAL 1963 SPLIT WINDOW BODY, NEW YORK STATE ISSUED VIN AND TITLE, FRONT FRAME ALTERED TO ACCEPT VINTAGE STRAIGHT AXLE. MAGNESIUM TORQUE THRUST STYLE WHEELS ON THE FRONT, EXTENSIVE CUSTOM MODIFICATIONS TO THE BODY REMINISCENT OF THE BAT MOBILE OR BARRIS CUSTOMS, AUTO TRANS CORE FOR REBUILD, 1967 327 CI 2 BOLT ENGINE BLOCK CASTING # 3903352, STAMPED NUMBER 72155541, K0613HC. CORE SET OF 3917291 HEADS, REAR END IS A STOCK CORVETTE IRS, DATE CODES ARE UNKNOWN. THIS WAS SUPPOSEDLY IN A MOVIE GEARED TOWARD DRAG RACING BUT WE CANNOT FIND WHAT THAT MOVIE WAS. 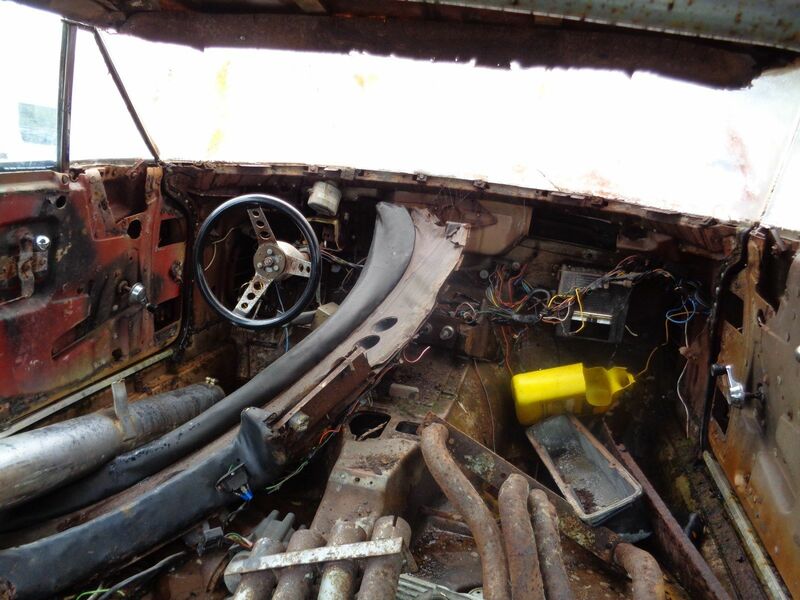 THIS IS A UNIQUE OPPORTUNITY TO TAKE ON AN ERA SPECIFIC, OLD SCHOOL RADICAL CUSTOM PROJECT. I feel like I need to go to the clinic for some penicillin after looking at this. We need some kind of upvote system so I can give a thumbs up when a comment such as this one makes me laugh out loud. The accumulation of metal pieces offered for sale here hurts to lay eyes upon. Only $30 per pound for metal and trash. He had better clearcoat that vintage patina quick before losing $8499 value. Seller kindly deflated the rears so you get an idea of how much torque that three-two-seven churns out the moment he drops the clutch as the Christmas tree lights up at the drag strip.